Way back… “in the year dot”, my daily joy was the enabling of precious 5 to 8 year olds to grow to become the people they were born to be – I was a Junior Primary School teacher. One of the perennial issues for “teachers” has always been the matter of “the giving of awards” which comes closely on the heels of “homework, or no homework?”. Always controversial and invariably there would regularly be “flare ups” where some people would get “hot headed” and “stick to their guns”, some would keep quiet and simply wait for the conflab to pass but sadly, on the other end of the spectrum, were those whom would become totally paralysed, stop contributing to discussions, refuse to collaborate, lose confidence and draw into their protective shell. Often these were amongst the most talented in our teaching fraternity. The controversy began here in Australia, amongst our close knit Family History/ Genealogy Community about a week ago, and is spreading as quickly as our ubiquitious summer Bushfires. Aillin, of Australian Genealogy Journeys, thanked Pauleen on her Family history across the seas blog for the “Blog of the Year 2012” Award, accepted and passed it but with some changes. Aillin then provided a most valuable link to Caroline Pointer’s Article, “Blog Awards & SEO“. to address the matter of stats being skewed in favour of the creator of the Award by requiring nominees to provide a link back to their blog. The emphasis is mine and am endeavouring to show that Caroline is implicitly advising we “put on our thinking caps”. As she explains this is crucial information for people, and companies, whose aim is to “monetize” their blog. However, if you’re a Family History Blogger, not interesting in “monetizing” but wish for your Blog to reach a wide audience to further your research, find “cousins” etc… she advises some very simple steps to take. 1. Keep blogging about your Ancestors. 2. If you want to show appreciation; read and comment on another person’s blog post and, tell your friends/ followers about this blog on your favoured Social Media site(s). 3. When a someone takes time to comment on your blog acknowledge and respond. 4. And if you do get nominated for a blog award? – Thank the person who nominated you. Do it profusely for they’ve given it with a pure heart out of appreciation for your writing and sharing, and five will get you ten that’s the only reason they gave it to you. So thank them. However, be cautious about placing links back to other sites with blog award badges, or at least the viral aspect of it. Thankyou Aillin for linking us all to Caroline’s excellent post. Thanks to you Pauleen for raising this issue, and initiating discussion on you Blog, and thanks also to all whom have given this matter serious thought and made comments. To read Pauleen’s original post just click on the following link: “Blog of the Year 2012 Award Updates”. I intend to continue accepting the wondrous compliment of an Award, given with an open heart, and then relishing the time of contemplation and finally the joy of passing it on. Caroline’s advice has clarified how best to do this. To help me decide on whom to nominate, I’d very much appreciate that everyone please make it very clear, on your blog, if you have no desire to receive an Award. I accept and respect all whom hold views different to mine, on all matters, but abhor uncertainty. It’s so time-wasting and my time, like everyone’s, is limited and precious. Maybe some artistic/techno savvy person would enjoy creating a beautiful badge to be placed on the Blog of those whom have no desire to be involved in the whole Award scenario? … Kind of like the ” Blog With Integrity” badge displayed on my sidebar which gives a link back to a website explaining the meaning. Although an explanation, and link to an explanation, is not at all necessary A beautiful picture and a brief text would suffice. For more detailed info, please go to Caroline Pointer’s post on the link provided above, or below and to links provided for Pauleen’s Blog – “Family history across the seas”. Cheerio for now and may 2013 bring you, and yours, every happiness, Catherine. Copyright © 2013. Catherine Ann Crout-Habel. This entry was posted in Awards & Recognition and tagged Family History, Genealogy, Genealogy Awards by Catherine. Bookmark the permalink. I'm a retired schoolteacher and now have time to devote to my passion ... family history research. I think this makes sense and is only fair so that those giving the awards don’t reach a dead end with someone (like me) who doesn’t pass them on. 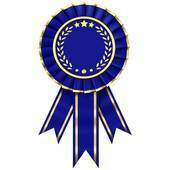 I googled “award free blog” and there are even some badges out there now. Thanks Kristin. It’s great to know there already is a badge to indicate a blog is “award free”. This means the blog owner is not hassled by unwanted award nominations and the donor is not wasting time and causing offence. I have always taken care to only nominate a blog who already has an Award posted… which indicates, to me, that they’re willing to receive further nominations… clearly I have been mistaken. This is why I believe that a blogger should clearly indicate their position by putting a badge on their blog. It’s great to know that badges have already been created for this very reason … and to think that I believed mine was an “original thought”… “bah and humbug” ha ha ha 😀 Thanks again, Kristin. Hoping people do post a badge advising they have no desire to be involved in the “Award” system. 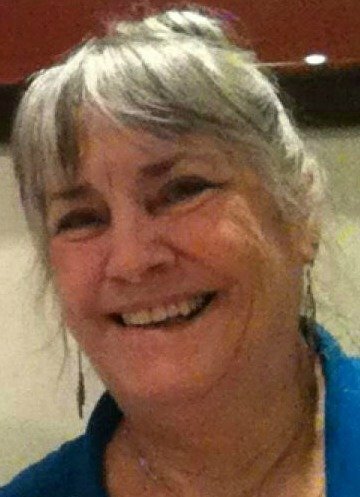 http://sharnsgenealogyhints.blogspot.com.au/ I’m unaware of any others. I’ve been thinking about all the points of view, and wondering what is the best way to continue. In discussion with another blogger, we agreed that there is no reason why we can’t have our own awards…Creating a graphic isn’t hard.. there doesn’t have to be any ‘commercial link’ or even a link back, though it would make sense for there to be a ‘home board’ to which we can post the awards so that all are recognised. I think the value of the awards and the boost that it gives to bloggers as regards encouragement and support, far outweighs anything else. I’ve been thinking about this again Chris. It would be possible to have one or two as you suggested (I liked the idea of the readership one, for example, because it was easy to correlate to comments etc)…perhaps a Great Supporter Award?. I guess part of the linking-back for me has been about the attribution aspect (always about citations!). The awards wouldn’t even have to be passed on, thereby avoiding part of the circularity/dizziness that occurred recently. I don’t agree necessarily that we have a small community -we might choose to award beyond geneabloggers, plus there are around 3000 blogs in geneabloggers anyway. Whatever the decision I’ve been cured of handing out awards for some time to come. I keep saying I’m going to opt out of this conversation and here I go again. My point exactly Pauleen re: extending the award nominations beyond the genea community… as J.G.Burdette did when nominating me for the “Wonderful Team Readership Award”… and yes I already do nominate beyond the genea community, which you’ve commented on previously. I’m pleased that bloggers have had the opportunity to share ideas and have arrived at individual decisions which best suit them 🙂 … now, the matter is well and truly closed for me.Thanks for your comments, Pauleen… cheerio for now. Thanks Catherine! I have had the same dilemma this week. I received both the Liebster award and the 2012 Year of the Blog award. I fulfilled all the requirements for passing on the Liebster and then Caroline posted her article. I really had to think twice about posting the second award. I also had a bit of a confrontation with another blogger who didn’t think I deserved the award because I had only been blogging for part of 2012. I had already decided not to post the second award (for several reasons) but the confrontation did upset me. But I thanked both of the bloggers who nominated me. Their praise meant a lot to me. I will continue to read their blogs as I hope they will mine. It’s ridiculous for someone to say you’re not entitled to the award because you’ve not been blogging for 12 months. Neither have I and my nominees know this!!! Keep blogging, stay happy and maintain that original delight in knowing that these people appreciated your work enough to present you with and Award. Thanks Catherine for your considered response to this issue and Aillin for drawing the implications to my notice, and passing on Caroline’s concerns. I’m honestly not sure that creating our own blog awards would make any ultimate difference…some of the same issues would arise. It also seems that the US bloggers who were part of the award-storm a couple of years ago were more alert to the problem that those Down Under. After the debate my own view is to comment, comment, comment -and hopefully blog posters will respond (one of my pet hates is posting comments that languish with no response). To a lesser extent I’ll tweet. I’ll also try harder to keep my blog links page up to date with blogs I’m reading. I’ve never been bothered if someone doesn’t pass the award on…what matters is that I award it to people who richly deserve it, and that they acknowledge that I’ve nominated them. I’m quite horrified that someone would take on Genealogy Lady about her awards because of the time she’s been blogging -surely that’s exactly when we each needed the boost most. Definitely a case of sour grapes….that would be one blog that deserves to be avoided! Hi cassmob! Thanks for your support. Ultimately, I hope I dealt with the situation professionally on my Facebook page and that is the end of it. 🙂 As my husband reminded me, it’s a blog of the year award not you’ve been blogging for a year award. If the same rule applied for movies which are nominated for oscars, would it be fair that Les Miserables is nominated after opening Dec. 25th versus Lincoln which opened weeks earlier? Deborah, give your hubbie a big “genealogy friendly hug” from me 🙂 Where would we be without the wonderful support of family and friends, eh? Maybe we should create a “Genealogists Super Supporter” Award… or something similar 😉 Of course he’s correct re: Les Miserables… thumbs up to him!!! My husband would definitely win the “genealogist supporter award”! Thanks Pauleen… This whole business started to bother me, especially as many were started to express concern and undecided as to whether “to Award or not to Award”, so I went back to Caroline’s original document, as I was taught to do in those heady student days 😀 Looking closely at what she was actually saying it soon became clear that those who “monetize” their blogs (blog for payment) should be very wary of the award system because Google has changed “the rules” and rather than getting more “hits” on their blog, they may actually be penalised and ranked lower by the Search Engines. However, as she writes, we Family History bloggers could well gain more exposure and thereby locate more “rellies” to further progress our research but advises to just be cautious about linking back to the Creator of the Award. I’ve never been concerned about “stats” and the number of “hits” but see she does have a valid point. BTW… it was Crissouli, not me, who suggested creating our own Awards. I just want people to indicate, on their blogs, that it’s a Blog Free Zone and save a lot of hassle and uncomfortable feelings. Cheerio for now… Catherine. Hi, Catherine – a very thought provoking blog. Gettin awards from fellow bloggers does mean a lot to me , but you have raised some interesting points about the whole process. A lot to consider. I would like to echo my disapproval of the comments made to Genealogy Lady about the length of time she had been blogging – totally irrelevant in my opinion. Good luck Deborah – don;t let it put you off!. Thanks Susan… yep, it’s a matter worth giving heaps of consideration to, I reckon. I too love passing on awards to those whose work I truly appreciate and reckon we shouldn’t be “throwing out the baby with the bath water”, so to speak 🙂 We all just need to keep talking and sharing ideas. I must off and away now and try to find this “fab” award I mentioned to Crissouli, as a possible indication of maybe a way to go with this whole awards bizzo. I’m just happy that folks have had the info to make an informed decision which is right for them. It’s always good to see groups willingly to share ideas in a safe and collaborative environment where there are no “winners” or “losers” and especially no hard feelings at the end of it. Bye for now, Catherine. Thank you for this very helpful post. I just became aware of this issue tonight–and found your post to be particularly useful in helping me better understand what people are discussing. I’m one of the people who don’t accept awards, and will need to think about how to let people know that. No worries Sheryl… I’m glad the info was useful. It’s so wonderful to be part of such an encouraging and supportive blogging community which is willing to talk matters through without any bad feelings 🙂 … just love it!!! You may like to leave a comment; I love hearing from my readers When you have some time, you might like to check out the Archives to see if any of the stories appeal.